I walked into a store here in Byumba, Rwanda and purchased a liter of water. When I looked over at the shelf I see in typical African style a king size container of vegetable oil for sale. 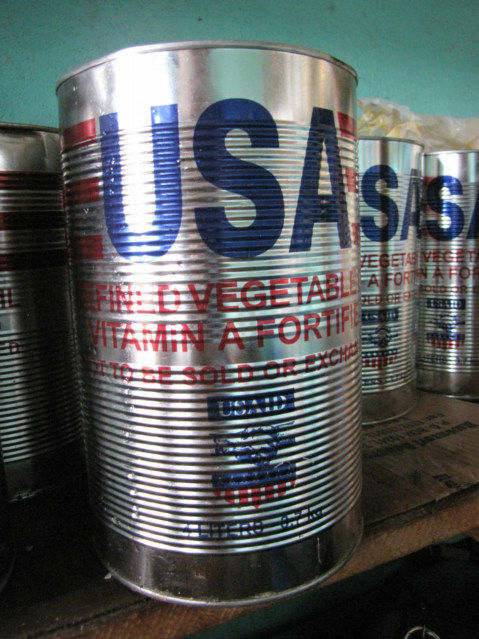 This can of Vegetable Oil cost 3000 Rwanda Francs or about 5-6 US Dollars. 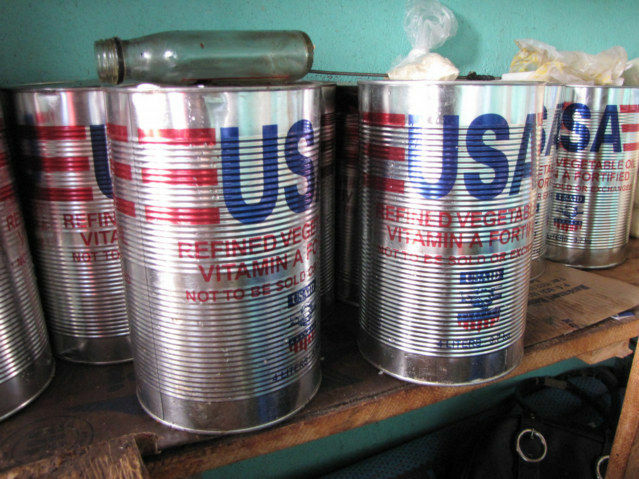 The brand name of the Vegetable Oil appears to be USAID. When the USA makes an agreement to give Millions or Billions of dollars to countries, USAAID will arrange with Non Governmental Organizations like World Vision to distribute the money. except they dont distribute money. The USA agrees to send X million of aid not X million in aid money. They will send US surplus produce to the value they agreed, not money. This is useful for the US economy because it means there is less wastage, and it means aid money gets spent at home and supports american buisness. Regrettably, its bad for the recipients in many cases. In disasters, sending food is very useful. When a nation can easily produce its own food, sending them yours for free undercuts the farmers or workers in that country and puts them out of buisness this perpetuates the poverty cycle. Which is not to say that these countries would wisely spend X million dollars - history shows us that they will almost certainly not do so. But its worth remembering theres way more than one problem at play here.